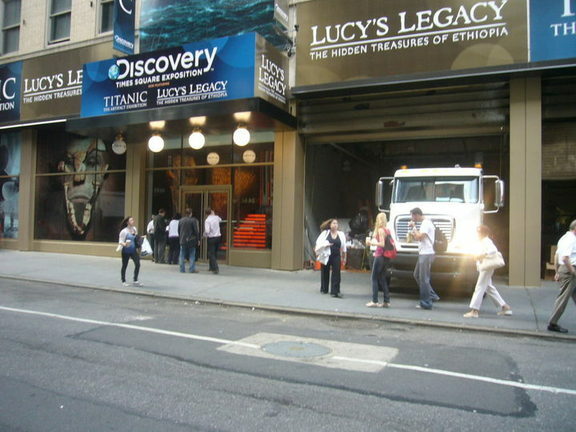 New York (Tadias) – In continuation of the six-year tour of the United States, Lucy’s Legacy: The Hidden Treasures of Ethiopia opened today at the Discovery Times Square Exposition in New York. 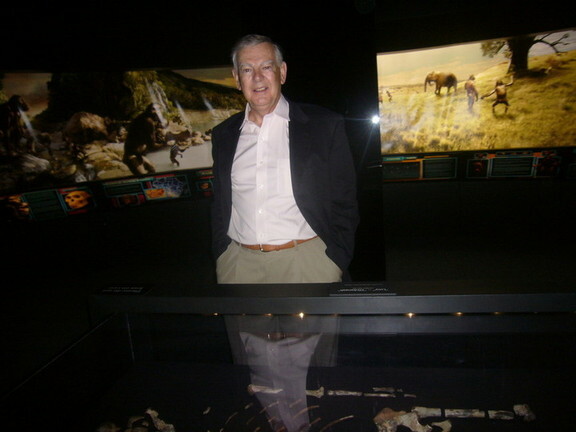 Organizers held a press preview in mid-town Manhattan this morning and unveiled a multi-media exhibition of Lucy’s fossils – one of the earliest human ancestors discovered in Ethiopia. Additional items including ancient Ethiopian Orthodox bibles, biblical manuscripts, copies of the Holy Koran from the Harar region, and other historical materials conveying Ethiopia’s ancient Abrahamic heritage and diverse cultures were shown. 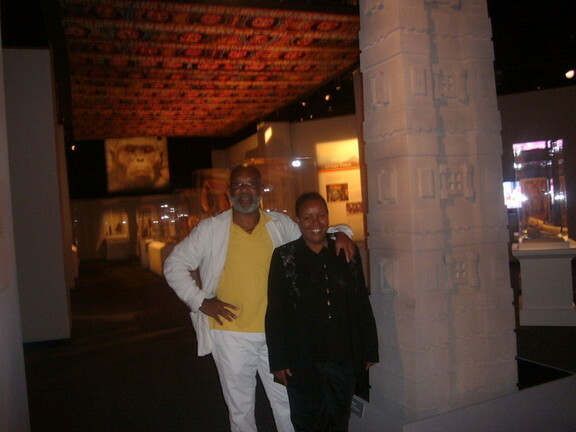 A replica of the Axum obelisk and the Lalibela church, designed by American artists for the exhibition, were also on display. “I hope this exhibition will encourage people to travel to Ethiopia and experience this great nation,” Johanson said. However, several scientists have shared their concern and disapproval of the exhibition citing that Lucy’s remains are too fragile for touring and travel. The Smithsonian Institution’s National Museum of Natural History in Washington, D.C. has refused to display Lucy amidst such concerns. Dirk Van Tuerenhout, Curator of the show, hopes that the exhibition will serve as an ‘Ethiopia 101′ course for the American public. “My greatest joy is when people say: “Wow, I had no idea that the Queen of Sheba was Ethiopian or that Rastafarianism is related to the Ethiopian Emperor Haile Selassie. I hope the show inspires young children to become anthropologists or archaeologists or researchers”. 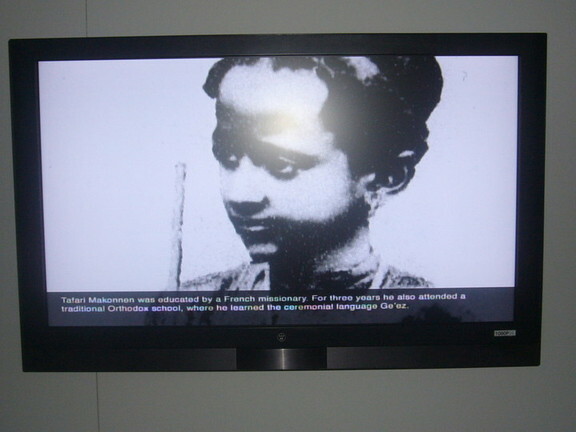 A video exibtion of the life and times of Emperor Haile Selassie is also on display. 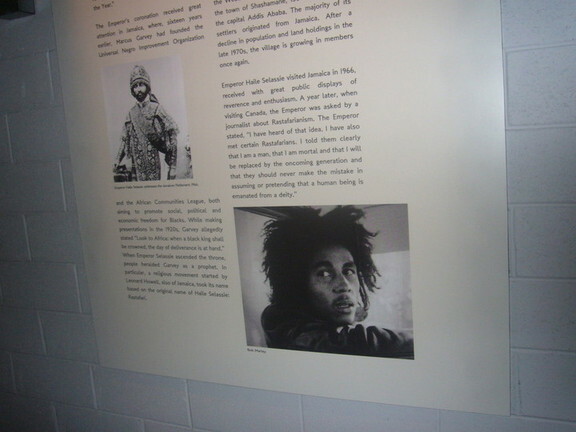 A large poster detailing the relationship between Rastafarianism and Ethiopia. The show will remain open in New York until October 24th, 2009. Thanks. This sounds interesting and educational. Is this a guided tour? I was thinking of bringing my students. When you purchase tickets, they are stamped with a specific entry time. If you miss your slot, we will make every effort to accommodate you at the next available. The last time of admission is one hour before closing. 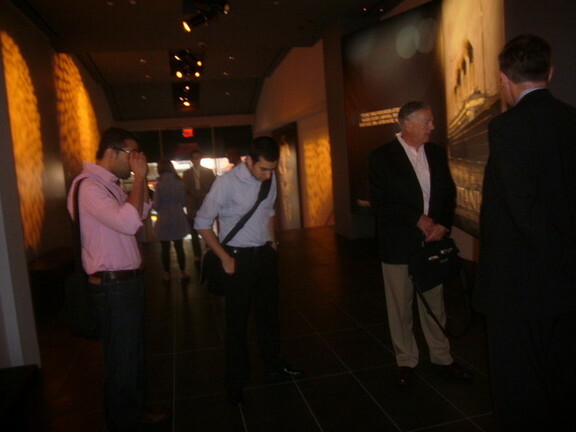 This tour and museum really should be announced well for Ethiopians and others! For instance it should be published on major newspapers of each States, is it on Ny Times? If not post ads everywhere. Obviously there has not been much publicity because I don’t see it on Yahoo, CNN, etc. The new york times just published a story on the show: Exhibition Review – “Relics From the Deep and the Dawn of Man (The New York Times). 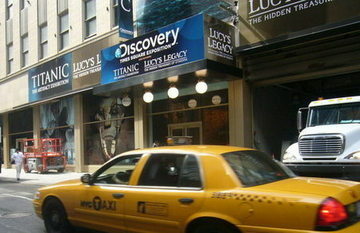 The story is about two shows Titanic and Lucy. So you have to read further down the story about lucy. This is a well-publicized exhibit and has already toured various states. It is truly a once-in-a-lifetime experience to see the show. This is a stunning show and once a lifetime experience. I flew to Houston from California just to see Dinkenesh. I will never forget standing next to the three and half million old skeleton that seem to want to come to life. The rest of the presentations were just great. Thank you Ethiopia for sharing Lucy to the with the rest of the world. I agree that there is a great deal of media interest and publicity surrounding Lucy’s show. Just in Google news alone under Ethiopia, there are articles listed by The New York Times, Tadias Magazine and The Associated Press regarding the New York show. Plus, the past shows and particularly in Huston and Seattle have received a lot of publicity.